Baps. We’ve been juggling some enormous baps. Unlike most of my everyday conversation, this isn’t as rude as it sounds. I’m just being a bit free and easy with my brain’s random acronym generator. BAPs (in my head, anyway) stands for Bunches of APointments. And lately, BAPS are, indeed, what we’ve had our hands full of. My daughter turned 18 towards the end of last year (dear God, I’m getting old). So she’s in transition. This is a word that makes me thing of gender reassignment, but it’s not that kind of transition; she’s at the age when she swaps over from child to adult services in health and social care, and that involves big BAPs. 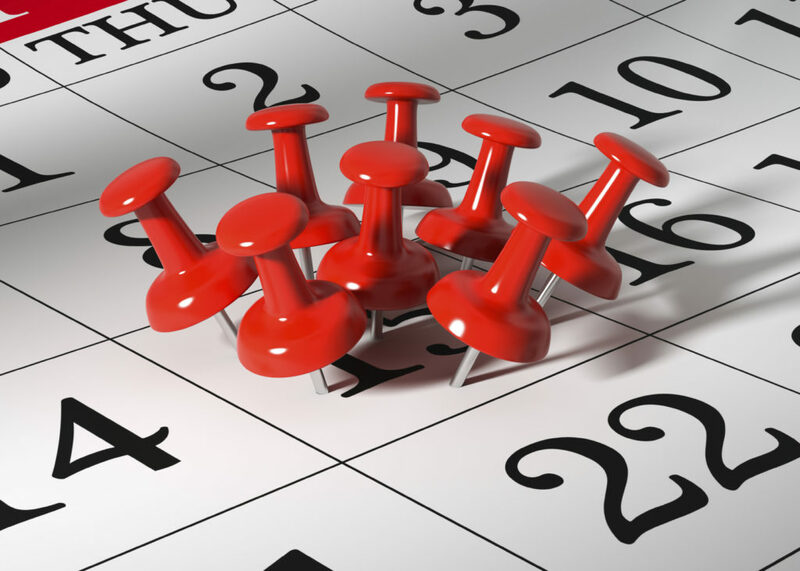 There have been GP appointments, dental appointments, and hospital appointments. There have been social care assessments and visits, plus a new social worker, new physio, and new endochrinology team to meet. A bridging loan has been required to pay for all the exorbitant car parking fees. A small area of woodland has been felled to make the paper needed for all the letters, reports and forms involved in BAPs work. There's been an oak tree’s worth just for my daughter's EHCP plan. And all of these things disrupt the normal routine. 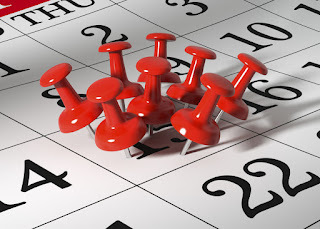 They put the usual timetable out of kilter, and cause varying degrees of worry to my worry-guts daughter, from low-level anxiety to full on meltdown, and the myriad of stages in between. Although she’s pretty good at meeting new adults, she comes away from each appointment having hoovered up info that she blows back out again in the form of repetitive, repetitive, repetitive questioning. This is how it goes. There are stages in our PWS children’s lives when we tend to feel more like a PA than a parent. When we switch our work schedule, tag team with our partner, and start scaring the postman with a terrifying scowl whenever he approaches our house. But I know something. BAPs aren’t constant, even if it sometimes feels like it. There are stages in PWS lives when things do go gloriously quiet, when things tick along, when you’re not having to invent a time travelling machine to be in three places at once. Enjoy these times when they roll around. And try not to start rifling through your paperwork because of the niggling thought that somehow you must have missed something. Ignore the niggle. Embrace the peace. You’ll know when the BAPs are back. Song is Blondie - Long Time. Chosen for the first line: "I've been running circles"... And also because it's a very cheery pop song. 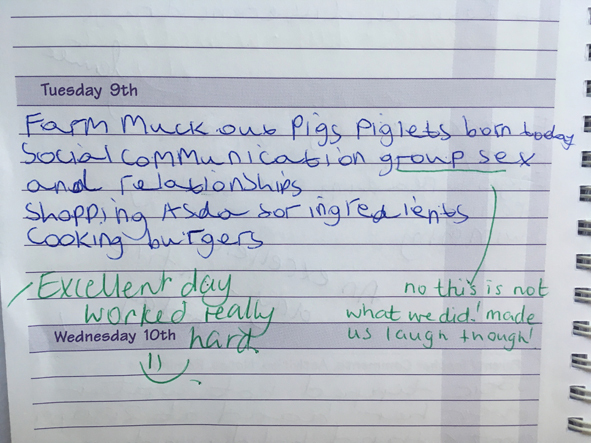 I love my daughter's school diary entries. In them, she has to list what she's done that day. Grammar and punctuation can be an issue. 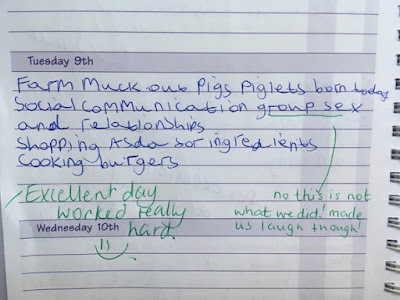 Yesterday's curriculum seemed a little...well...'frisky' - and I'm not talking about the piglets. I'm not surprised her teacher felt the need to annotate. In honour of May being Prader-Willi Awareness Month (and also Gin & Tonic month, just because I’ve decided, OK? ), I’m going to share something. I could talk about a missing bit of a chromosome. I could give you a list of the main characteristics of the syndrome: how it involves weak muscle tone, immature sexual development, an excessive appetite coupled with a decreased calorific requirement, learning disability, and poor emotional and social development. But that’s impersonal. And a bit depressing. It’s the kind of summary that floors you when you read about PWS as a new parent - as we did 18 and a half years ago. It’s a blood-draining, gut-punching shock. It’s unthinkable, unimaginable, unfair. I’ll share something else, instead. Tonight, I’m sewing a badge onto a blanket. It’s a small thing, but it isn’t a small thing. 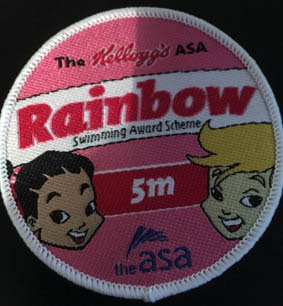 My girl, the one with weak muscle tone, the incredibly stubborn one who won’t do anything she has set her mind against, and who has for all of her life clung insistently to floats and woggles in the pool, has earned her 5 metre badge. Her swimming teacher, an otter-like marvel, has someone channelled my daughter’s stubbornness and determination, and got her to swim free. My girl’s style may have been unorthodox, her feet may have been dangerously close to touching the bottom of the pool, and she won’t be winning any speed records, but she did it. That’s it, that’s what I want to share. That phrase. Expected and unexpected. Familiar and fresh. A phrase that I’ve used countless times, after countless waits, in different contexts, but always in the same amazed tone. I bloody hate sewing, though.